Controversy aside, the Patient Protection and Affordable Care Act (the Affordable Care Act) contains many significant investments into future healthcare employment in our country that can have a sweeping impact on the industry in the coming years. The po[censored] tion in America, as a whole, is aging, as a result of the Baby Boomer generation growing older, which has led to a great need for medical professionals – ranging from doctors, surgeons and specialists to nurses, anesthesiologists, and administrative staff. In fact, most experts expect that the need for healthcare providers will continue to outpace economic growth for several years to come, meaning that in a time when finding a job in America isn’t always easy, there is much-needed stability in the healthcare industry. So what investments, exactly, does this legislation make into healthcare employment? One of the marquee components of the Affordable Care Act is to fund the training and development of more primary care providers over the next five years. Along with investments already made in the American Recovery and Reinvestment Act in 2009, funding has been included to support as many as 16,000 new healthcare providers. This significant commitment speaks to the importance of ensuring that our country has the medical staff in place to provide the quality of care that our citizens demand and deserve. Yet all of these new providers also need to ensure that they have places to work, which is why the legislation also includes additional resources that are designed to build and expand community health centers – many of which are actually managed by nurses and nurse practitioners, particularly in communities that have been traditionally underserved. Not only does this offer new opportunities for employment for healthcare specialists, it also is designed to improve the overall health of the citizenry, especially in parts of the country that haven’t’ always had the necessary access to overcome common avoidable health problems, such as obesity. Furthermore, healthcare reform is also committed to alleviating some of the burden placed on healthcare professionals by rampant student loan debts. Many individuals are leery of pursuing a career in medicine because of the potentially exorbitant cost of schooling. To alleviate some of this concern, the Affordable Care Act includes provisions to help students repay their student loans and also provide scholarships to those who are willing to work in underserved areas after school. These are just a few examples of the investments made by the federal government into healthcare employment, however. There is a national understanding that our healthcare industry needs further reform and will continue to expand in the coming years. 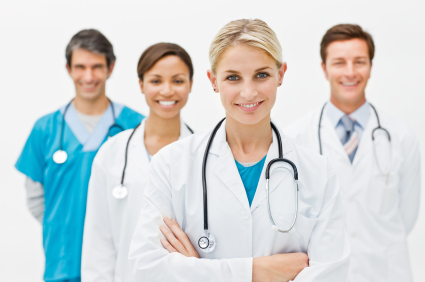 If you are interested in pursuing a career in healthcare, now is the time to get started. When many Americans are concerned about job stability and security, experienced healthcare professionals are at a premium and will continue to be highly coveted for the years to come. Whether you’re a college student currently exploring your career options or you’re interested in a career change, working in healthcare is, and will continue to be, an outstanding option. Peg Smith is an experienced writer who has written for a number of notable publications. As a lifestyle expert, Ms. Smith is able to offer advice and insight on a multitude of topics, including those pertaining to healthcare employment.